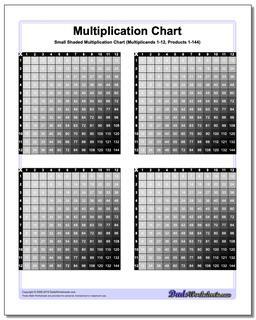 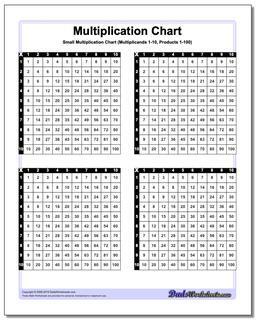 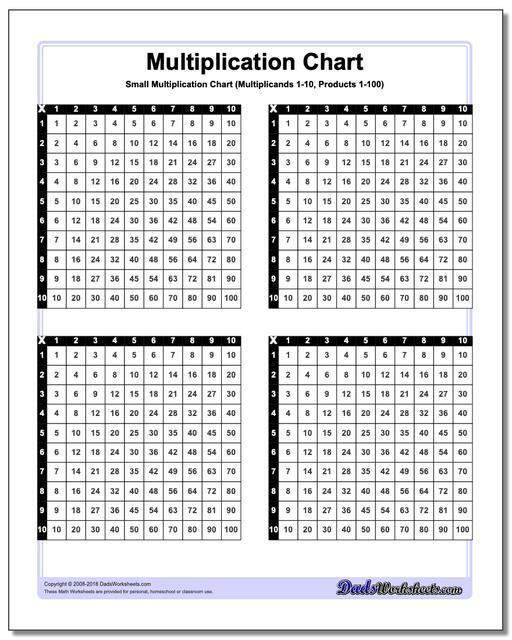 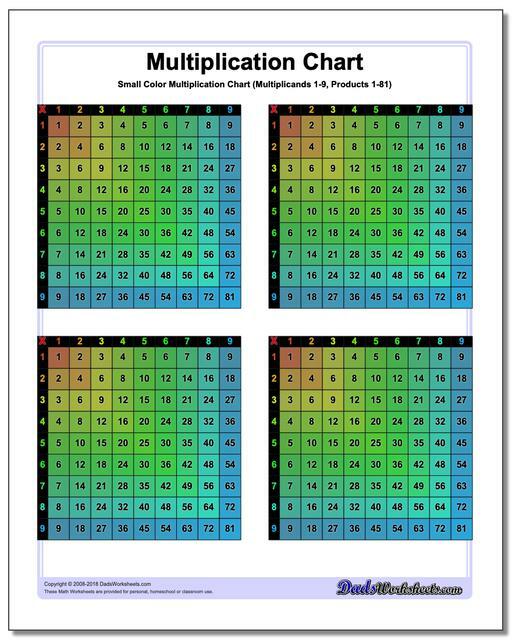 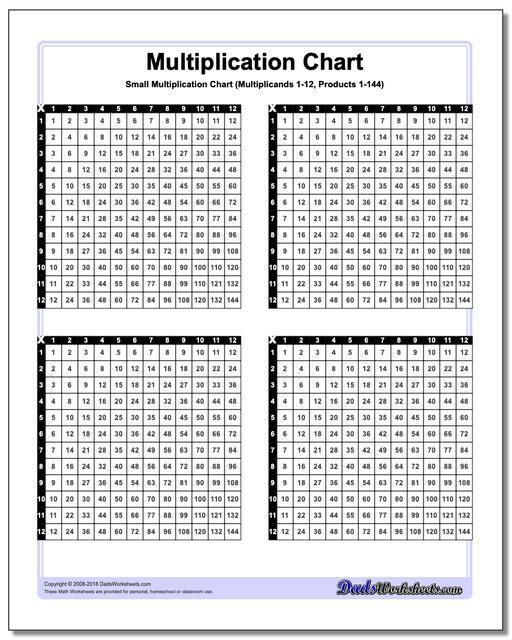 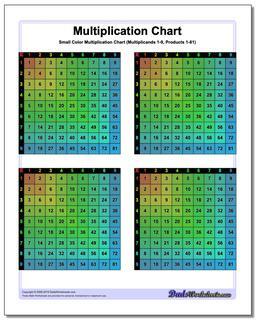 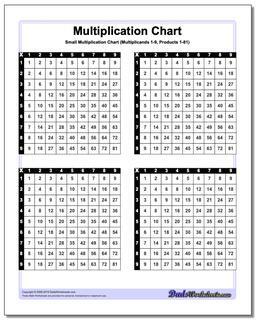 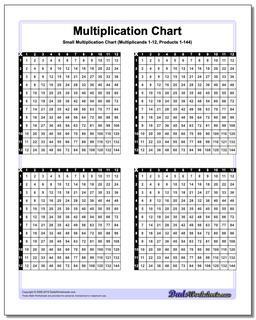 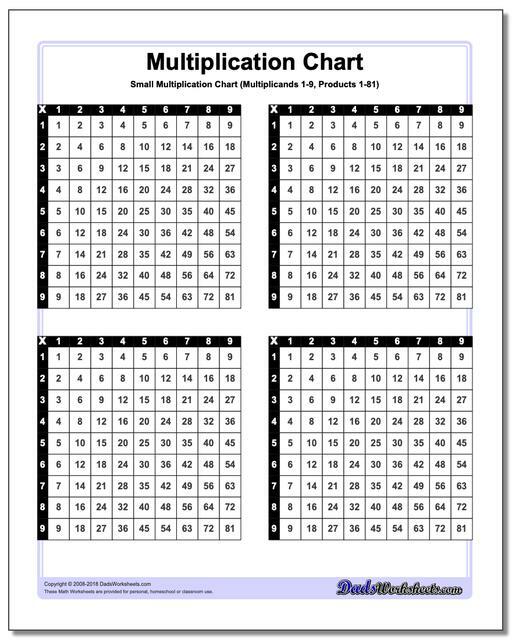 Do you need a small printable multiplication table you can put in your pocket, tape to student desks or laminate and hand out at parties? 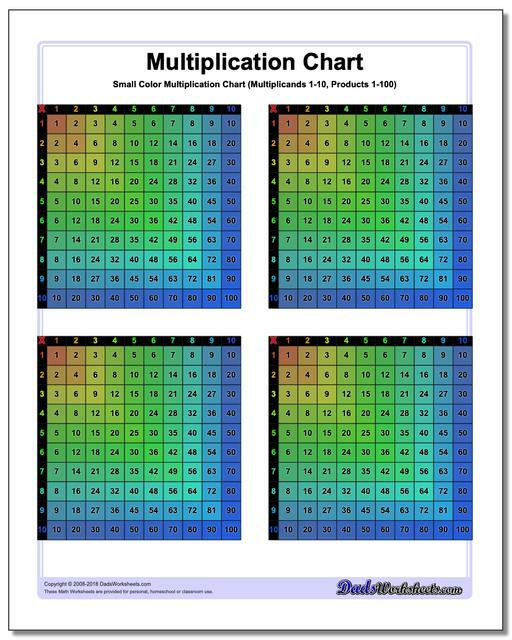 You MIGHT be a math teacher! 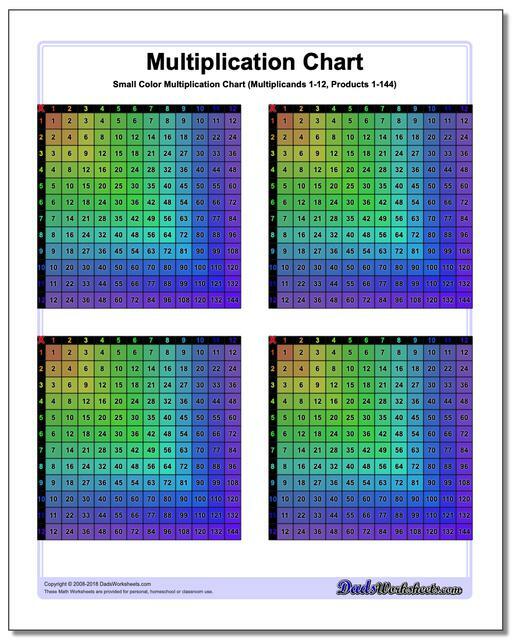 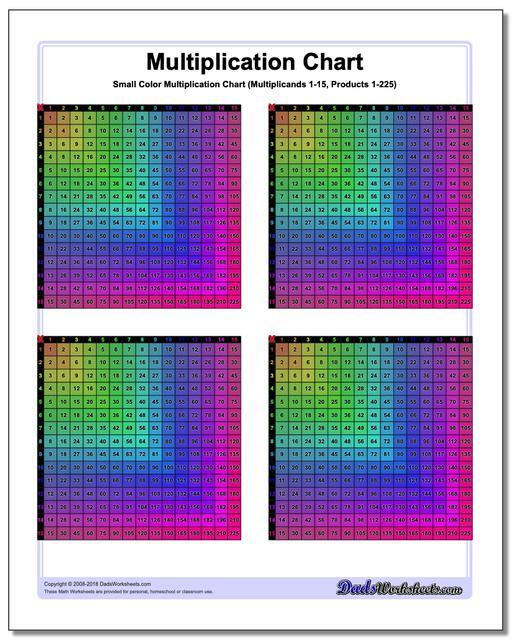 Any place you need multiplication in a flash, these charts will be there for you! These multiplication tables appear small on the screen, but they are vector images designed to be printable at high resolution and will be razor sharp on your printer. 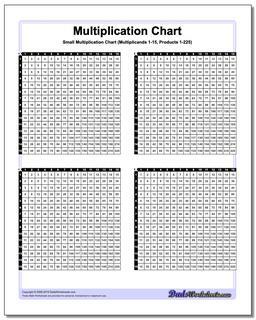 Print these out, cut them up and then share them with your friends or students. Sometimes a full-size multiplication chart is more multiplying than you need, and these smaller versions are perfect for less formal occaisons. 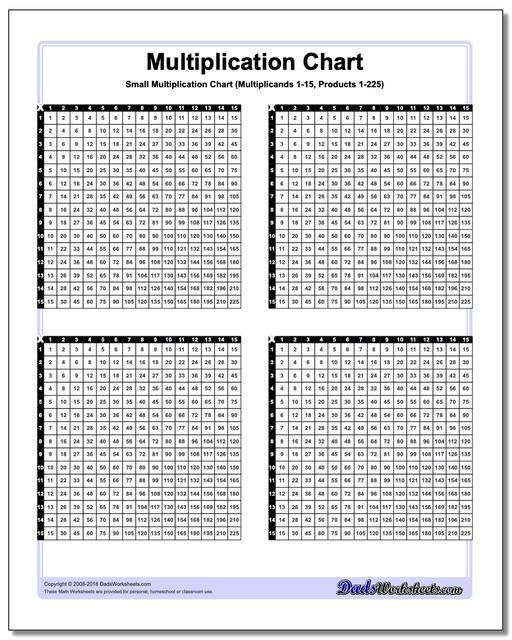 Multiplicands from 1-81, 1-100, 1-144 and 1-225 are all included in various styles.